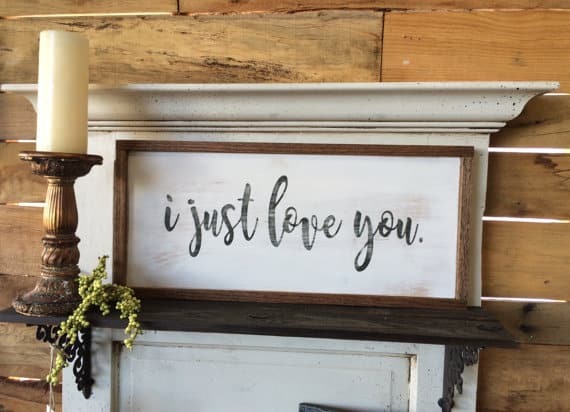 I know that there are a LOT of us who enjoy our farmhouse decor. So naturally we want to keep our holiday decor flowing in the same direction. 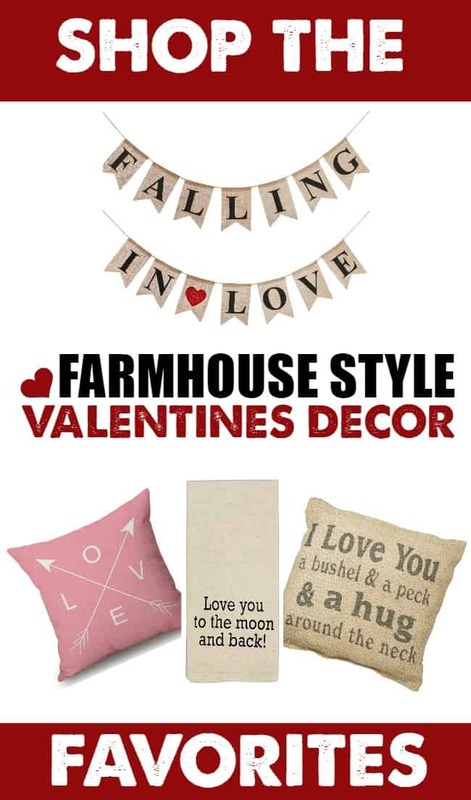 Today I wanted to share with you some fun items you can bring into your home seamlessly for that Farmhouse Valentine Decor look. Obviously Burlap and Farmhouse go hand and hand. 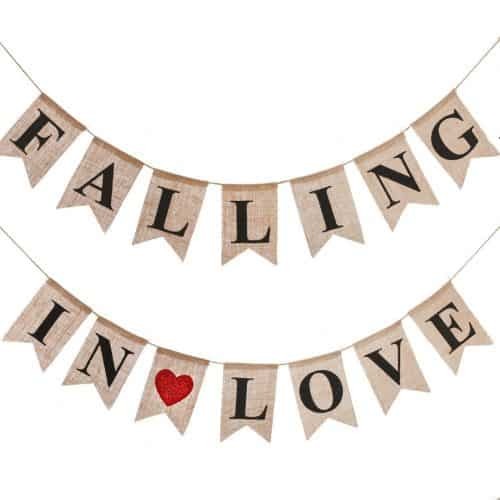 This “Falling in Love” burlap banner would go perfect sprawled up on a mantle or even across a curio cabinet. Nothing says Valentine’s Day like a little love. This super cute kitchen hand towel would go perfect hanging on your stove. 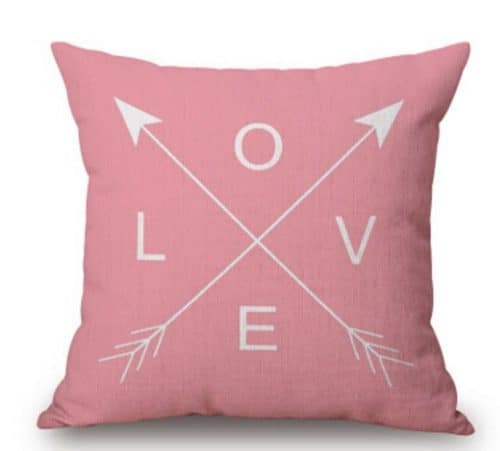 I know one thing is for certain, lovers of farmhouse decor love a good pillow. 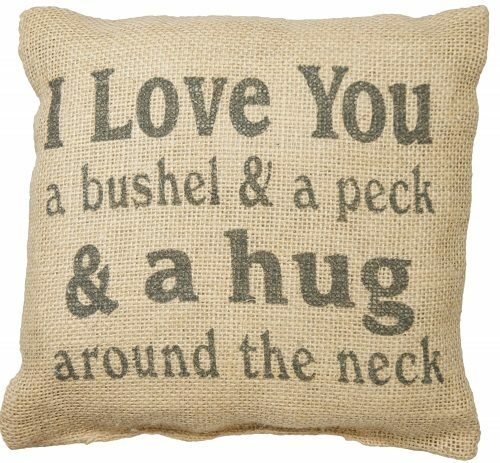 This mini “bushel and a peak” pillow is sugary sweet. I just love it. Or…. 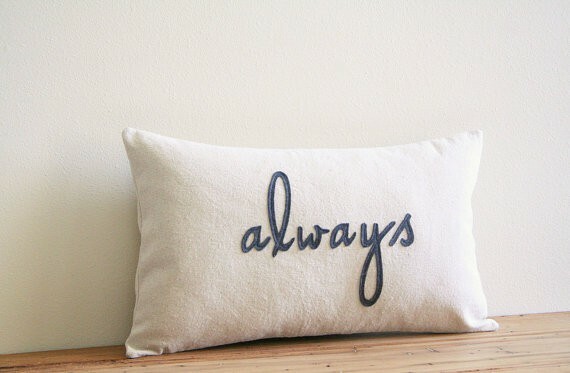 How about a pillow that just spells it out for you. LOVE!! 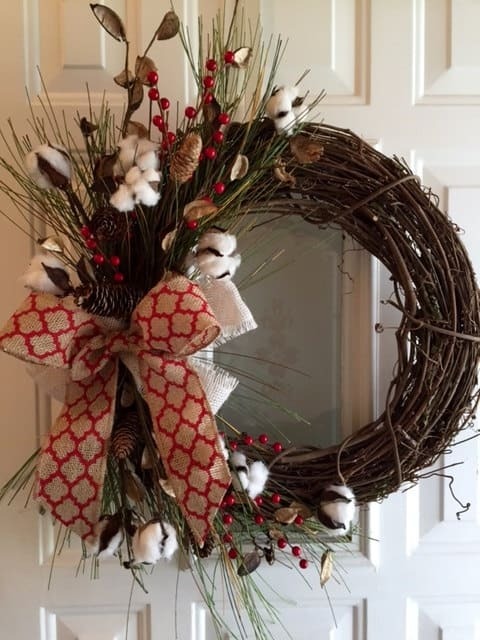 This Cotton Berry Wreath from Sugar Tree Farms adds the perfect wintery, rustic Valentine vibe. I love it! or… Make a statement on some rustic wood. Maybe a “I Just Love You” sign. 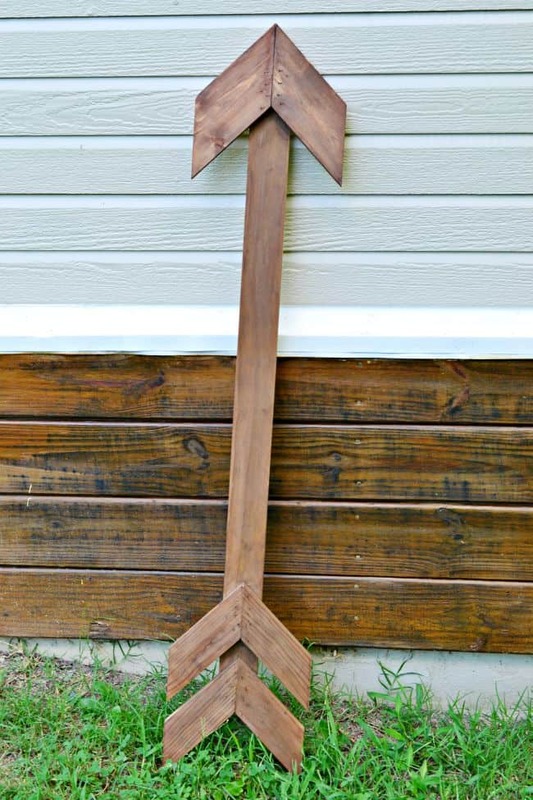 And of course you can’t go wrong with decorating with some wooden arrows, which I show you how to make in the tutorial over on that post. Super simple and inexpensive. Things you need if you love boxwood! Free Farmhouse Christmas Printables – 6 gorgeous designs! Thanksgiving Dinner Essentials – Must Have Items! Top 10 Christmas Toys 2018 + Even more ideas! Top Picks for Mother’s Day Gift Ideas on Amazon! Hearth & Hand By Magnolia Homes | What to Buy! !